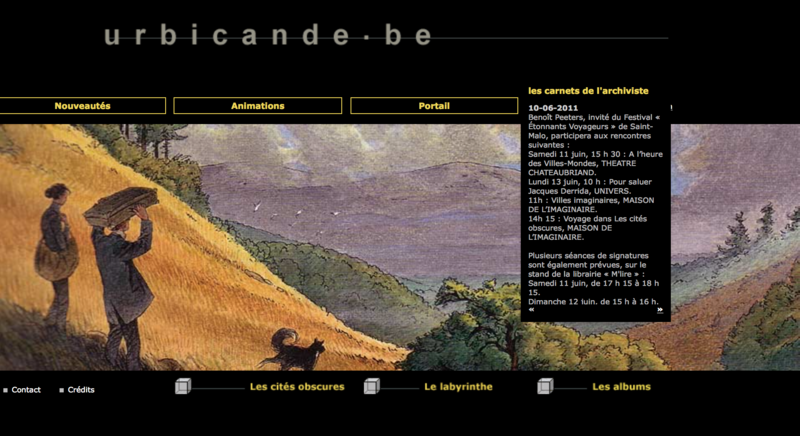 Besides listed as the top 100 websites in Belgium, urbicande.be was also listed in the top 10 of original interactive fiction by L’Express in Paris. And La SCAM - société civile des auteurs multimédia - gave urbicande.be the Internet award in 1997. Alok Nandi left Casterman & Flammarion in January 2003 when the publishers decided to outsource the development. One last update was made in 2005 and since then only news articles were posted. Also this stopped when the website was not updated anymore since 2011. In May 2015 the website was removed and archived at altaplana.be. Go back to the Urbicande.be dossier index .